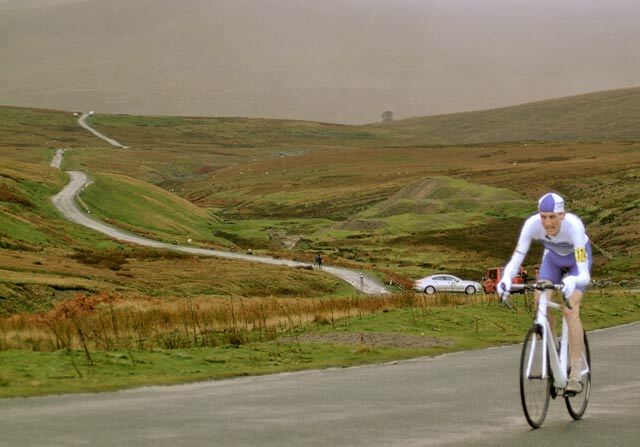 Tejvan Pettinger from the Sri Chinmoy Cycling Team won the 2013 UK national hill-climb championship, one of the main races on the UK cycling calendar. On a wet and windy day in north Yorkshire, Tejvan beat a strong field including many full time pros to win the event by only two seconds. It was Tejvan’s 9th national hill climb championship, his previous best was 4th in 2010. In the past, he has also finished very strongly in the national time trial championships. 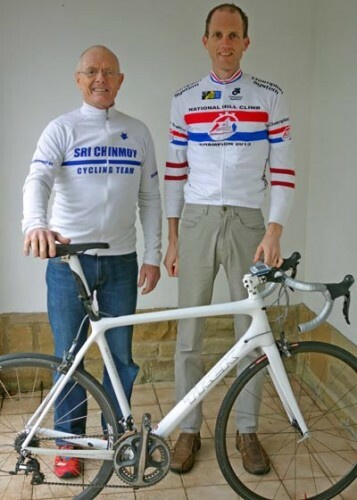 The Sri Chinmoy Cycling Team was first formed in the early 1970s. As well as running, weightlifting and tennis, Sri Chinmoy also was a dedicated cycling enthusiast during the late seventies, competing twice in the 24-hour cycle race in New York in the late seventies.